Summary: Naruto has left Konoha to escape the clutches of Akatsuki and train to become stronger. Konoha isn't much the same without Naruto and an ANBU who was never originally born in Konoha goes around doing missions for Tsunade as he tries not to interfere them with his own goals. Normally, everything is fine, but he doesn't know that he's been tracked down and hunted. Summary: Why does she hate me? What have I done? Why don't the kids play with me? Have I hurt them? Why do the adults look at me with those eyes? Who is Orochimaru? P.S. Can anyone tell me how to fix my picture/banner thing? Or can everyone see it? 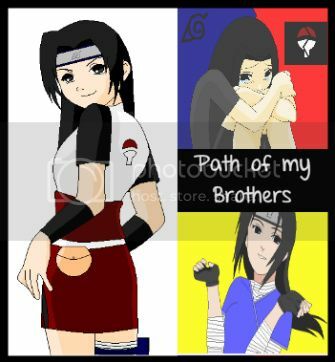 Summary: Orochimaru takes Anko to the Tanabata festival, with some naughty surprises in store for his favourite student. Summary: "Orochimaru-sensei, why do you have such a long tongue?" It was an innocent enough question, but Anko was in for a less than innocent answer. OroAnko, graphic lemon. Summary: Kabuto defeats Anko, only to lose the battle to suppress his former master. How will Anko react to seeing Orochimaru alive once more?